Need genuine woodworking advice and information? Not sure which tools to use or maybe you need some advice with a recent project, if so then you’ve come to the right place. Woodworking Coach is a unique resource which can help guide you, whether you’re a complete beginner or at the more advanced stages. We’ll share with you valuable insider skills, knowledge, expertise, tips and personal life experience in the trade from a 62yr old master craftsman. This is a craft that has been used for 1000’s of years in all parts of the world. Today this craft is seen as a popular hobby by enthusiasts and an important skill used in all parts of the construction industry. 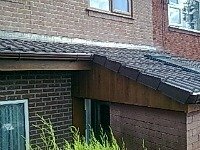 So why not discover the very best information and advice from a seasoned professional craftsman, with many years of "hands on practical" knowledge. This valuble resource not only offers you a one-stop shop for quality information.In addition you will also receive some excellent recommendations in the form of helpful articles, tool reviews, books, plans and much more. You will gain the very best knowledge that spans from over 40yrs of commercial expertise. Furthermore you can be assured that we will do our best to keep you informed and updated on the latest news, tips and information. 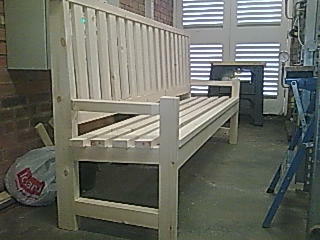 Just off my production line is this 2m long Garden Bench which I made with my hand tools. It’s a mortice and tenon construction, these joints secured by dowels which I also made from 1"x1". I cheated a little because I drilled out the mortices with my battery drill and spade bit! Well, I am getting on in years! N.B. Soon I will be bringing recommended furniture manufacturers and artisans to display their products for sale. Should you produce any woodworking products and you would like to display them on this website, please contact me via 'Contact Coach' found in the Navbar to the left. With over 40 years of experience the Woodworking Coach is here to answer all your questions on this amazing craft. Fire me off an email- and I will get back to you as soon as possible. The Woodworking Coach blog will keep you up to date with the latest information, tips advice and experience straight from the mouth of a 61yr old master craftsman. Woodworking saws come in different types and sizes and each one has different applications. Learning about the different types of wood saws will help you make the right choice. Wood working tools are available for affordable prices, but you just have to know where to look. Get your tools any way that will save you the most money! There are seven woodworking power tools that should be in any woodworking shop. These are tools that you will use with just about any project and can make your tasks much easier. Bosch power tools are a great choice for any woodworking shop, no matter what your skill level. You’ll find a wide range of innovative powerful tools that will help complete just about any task. Wood lathes are a great addition to any woodworking shop. Learning to use one will take practice, but the end results are more than worth it! Wood working plans can be found at several online stores as well as your local hardware store, or in your favorite magazine, as well as many other places. Knowing the basics of boat building and being competent at woodworking is key to being successful at this challenging task. Discover what else you need to know before you get started. Cabinet making does take a bit of skill, knowledge, and the right tools. However, there are time and money saving tips that can help make this woodworking project go smoothly. Green woodworking is really an art that used unseasoned or green wood to create beautiful chairs, stools, and baskets. It takes some special tools and quite a bit of skill to master this technique. 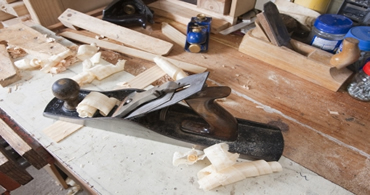 Woodworking tips can really encompass everything from safety to tool use to reading plans. It is important to pay attention to these tips to make your project go much more smoothly and safely. Copyright © 2014 Woodworking Coach.Com Many thanks to SiteSell/Solo Build It for helping me build this website I’m thrilled I found this Link to Sitesell.